Did you read that Annals paper (1) about firearm injuries that got the NRA so riled up? No, really. Did you read it? Because here’s the thing: It’s good—or as good as we can get for now. But after last month's Tweet-storm, we may have more to look forward to. One of the biggest criticisms of the paper’s opponents—which the authors of the paper freely admit—is that the evidence on which the guidance is based is not the same high-quality data we’re used to seeing support similarly declarative recommendations. It’s well known that this dearth of evidence compared with other public health crises is a result of the Dickey Amendment of 1996, prohibiting CDC funding for research on gun-related injuries and death. Without high-quality studies, legislation is swayed or delayed by sometimes less rigorous statistical analyses. Let’s be honest, some of the policies rely more on opinions and anecdotes than hard data at all. 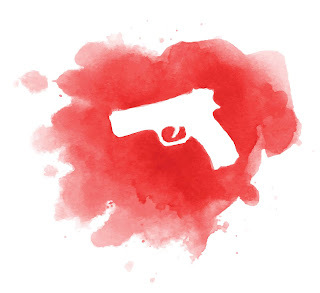 Coalitions and nonprofits are starting to fund their own research, but in much of health care, we’re still pretty sure we know that gun violence is adversely affecting the health of our patients. How can that be if we’re scientists who demand data? In medicine, sometimes we don’t have enough evidence. The scientific theory allows us to make hypotheses based on the best available information we have. And when we can’t do a randomized controlled trial—or any trial—we use the next best thing: anecdotes. Well, technically, we call them case reports. What happened last week was a monsoon of case reports flooding Twitter and other social media. MedEd Twitter has become a primary source for many interested in short clinical “Tweetorials” or snapshots of conferences and lectures we can’t attend in person. But I do not know of any other precedent in modern times for a similar medical ailment. This concept isn’t new. This was the role of the case report—to share new information and a new finding, and wonder whether others had found the same correlation before. Until we have more concrete data, this paper is pretty good. It’s based on what evidence we have. Meanwhile, maybe there’s a statistician categorizing the individually Tweeted case reports into epidemic clusters, or an analyst estimating Tweeters’ level of emotional distress. Maybe they’re predicting burnout from the tone of our text. Maybe they’re quantifying the positive impact of finding a collective voice. Findings still to be seen as follow-up phase has only just begun.